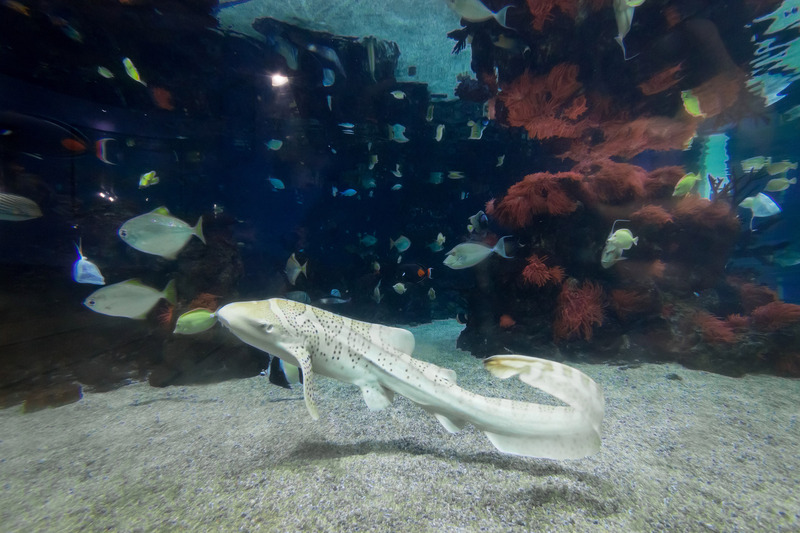 Baby Zebra sharks have gone on display for the first time in The Deeps Lagoon of Light. The young sharks hatched out at The Deep 18 months ago, from eggs sent to us by Shedd Aquarium in Chicago back in 2014. They now measure 1.2 metres in length and have been named Marty, Seb and Tommo. They have been introduced to their new home in the Lagoon where they join a number of other shark and stingray species.